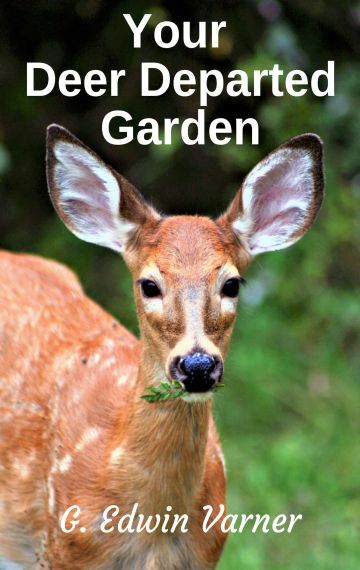 What deer resistant plants can you grow in your flower and vegetable gardens? This entertaining and informative ebook will help you discover the best gardener-recommended ornamental plants to help deter them. Grow plants having robust scented foliage or flowers. Include bad-favored plants with most having toxic properties. Raise plants having fuzzy, furry, or silvery-white foliage. Add plants having tough, stringy, prickly, spiny or thorny stems and leaves. Locate scented groundcovers, tall growing plants, and grasses on the periphery of your garden. Provide deer with nutritious food far away from your garden. You can intermingle these “resistant” plants with those that deer love to eat. By growing together various representatives of plants in these categories you provide your garden better protection against these hungry critters. They may chew on a few yummy plants, but they will also get a mouthful of bad tasting ones, causing them to lose interest and move on. Although being listed as deterrents or resistant, these plants are not quick-fixes to prevent deer from visiting your gardens. One major caveat is, there are no absolute “deer-proof” plants; for every rule, there is always an exception. They are only eating our garden plants for supplemental nutrition and basic survival, but can also do considerable property damage. Adding these beautiful and functional plants discourages them from remaining in and later returning to your garden. These beautiful creatures are here to stay. Let’s try to find common ground where they are off limits but can also feel welcome. This ebook can help you discover the means to accomplish this balance. Are you unsure about ordering my ebooks? Did you know you can request your local library to obtain a copy of them? Yes, you can! Most libraries offer a service called OverDrive where they can get ebooks for you to read. You need to request them at your library if they are currently not available. Once available, you can read his ebooks free-of-charge via your library.